‘UN peace operations need less jargon and more direction’ ran a headline in early April – just as we were testing a new version of our app, and just as we were posting a new blog in our peacekeeping series. It was virtual serendipity. The article asks if a new UN mission in Colombia should be designated a ‘peacekeeping operation’ or a ‘special political mission’. First, say the authors, it’s a question of image: as the former is generally associated with failed states. Then it’s a question of funding: as the latter is paid out of the UN regular budget. So should Colombia get a ‘special political mission’, given that UN responses in the Dominican Republic, Cyprus and Western Sahara have been run as peacekeeping operations? 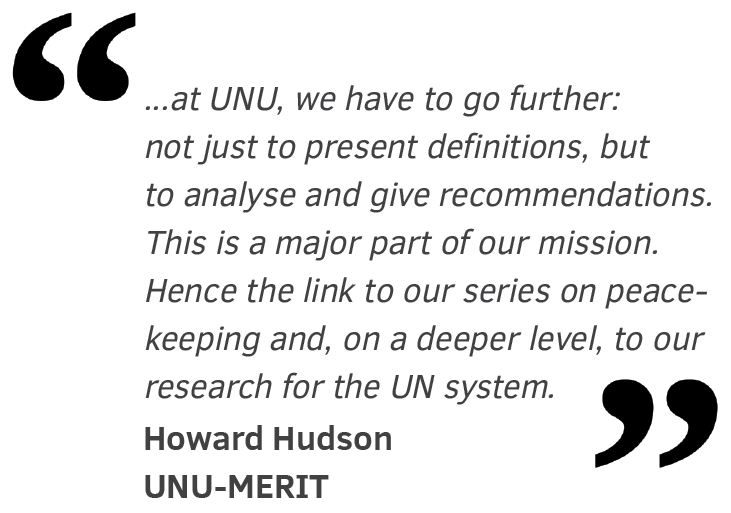 The question highlights the added value of the UNU Jargon Buster, as it gives everyone a way to compare definitions, find further readings, and decide for themselves. On a fundamental level, it gives everyone a way to understand and engage on UN issues: from political proceedings to more technical legalese. 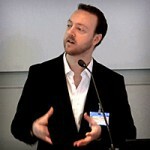 But at UNU, we have to go further: not just to present definitions, but to analyse and give recommendations. This is a major part of our mission. Hence the link to our series on peacekeeping and, on a deeper level, to our research for the UN system. 10 April 2016 marks five months since the launch of the UNU Jargon Buster. With this news update we are delighted to welcome on board UNU-EHS in Bonn, as well as new partners in Geneva: the United Nations Research Institute for Social Development (UNRISD) and the United Nations Institute for Disarmament Research (UNIDIR). Meanwhile, we’ve gained glossaries from UNIDO in Vienna and the OECD in Paris, and are looking forward to contributions from the IOM, OCHA and UNOPS. Set for release on 15 April 2016*, Version 2.0 has changed dramatically since the pilot version. First, in terms of finding and filtering, the UN Sustainable Development Goals are now the primary elements on the front page. Right below, the new letter-based interface accommodates many more entries, as we move from a few hundred to a few thousand terms and acronyms. Then we have the side-scroll, which is more intuitive and ergonomic than the old vertical search. The back-end has also changed beyond all recognition, moving from a simple file handed to the developers, to a fully synchronised module that updates the database in real-time. Now every time a user opens the app, there’s a brief background search for new entries. This text-based process uses minimal data and resources. It also means that we can update the terminology database at any time — all the more reason for you to suggest new terms. Version 2.0 will be launched at the official opening of the new UNU-MERIT building, in the presence of Dr. David M. Malone, the Rector of the United Nations University, Under-Secretary-General of the United Nations; Annemarie Penn-te Strake, the Mayor of Maastricht; a host of regional and national dignitaries; and the staff, fellows and students of UNU-MERIT. This free app is available for Android and iOS as a searchable, offline, one-stop shop: designed for anyone seeking a UN glossary anywhere in the world, at a conference or in the field, be they students, scholars or policymakers. It was compiled at UNU-MERIT in the Netherlands by Howard Hudson, Diego Salama and Iulia Falcan, with design and technical support from Mediablenders. For more details, please check the app landing page. * Version 2.0 will launch first on Android; the iOS version will follow shortly after.